Parishioners at St George’s have a long and proud heritage in reaching out to those in need through an active and caring Outreach ministry. We understand that we do not exist as a faith community just to serve ourselves, but to respond to Christ’s commandment to love our neighbours. We participate in regular services at Birkdale Place Retirement and Allendale Long Term Care in Milton, the Brant Centre for Long Term Care and Mount Nemo Christian Retirement homes in Burlington, and in the Chronic Care ward of Milton Hospital. 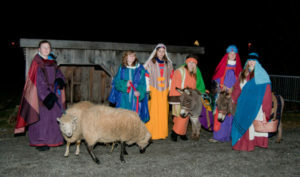 St. George’s participates in MACCWT events such as the annual Christian Pageant “The Walk to Bethlehem”, and other programs. 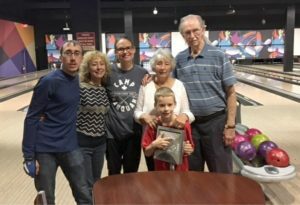 St George’s Bowling Team having fun competing in a friendly Bowlathon to raise money for the Christmas Pageant! This fund is enabled by fundraising and generous donors in the parish. It is used at the minister’s discretion to provide assistance to people in crisis who present themselves at the church from time to time. Food and transportation are the most common needs. 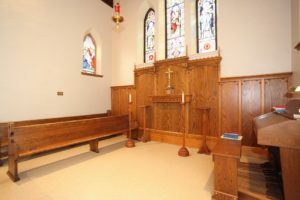 We support St. Matthew’s House, an outreach of the Diocese of Niagara located in the north end of the City of Hamilton. We collect food every month, monetary donations, and (as needed) clothing. 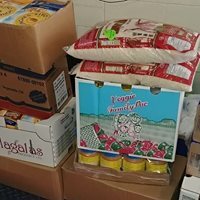 St. Matthew’s House serves one of the poorest areas of Hamilton with food, men’s housing, daycare and other programs including in recent years, services for immigrants and refugees. 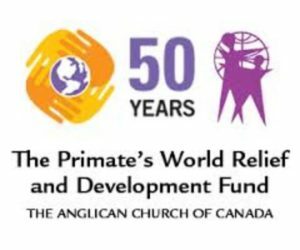 PWRDF is the Canadian Anglican response for emergency relief, refugees, development, and justice. PWRDF supports people-centred development to improve the quality of daily life for vulnerable populations. 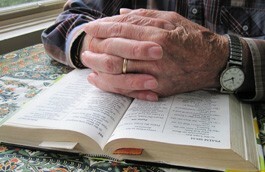 It promotes self-reliance, and addresses root causes of poverty and injustice, in Canada and throughout the world.